There’s nothing like a steal of home plate. That may not be a universal opinion, but it’s certainly my opinion. My very first piece at The Hardball Times concerned Jackie Robinson’s proclivity for swiping the dish, as did a follow-up a year later. I even used, as a hook for examining Don Drysdale’s head-hunting reputation, rookie Bryce Harper’s retaliation against a deliberate plunking by Cole Hamels by swiping home against him. The practice is, sadly, a lot less common than it used to be. The record for steals of home in a season is eight, set by Ty Cobb in 1912. There are now years when that will the yearly total for all of major league baseball. It’s too much to expect players to steal the way they did in deadball days, but slavishly following complete games to the brink of extinction is going too far the other way. I wanted to see what has become of the steal of home in recent years. Is it becoming a smart percentage play as its frequency wanes? Are there clues, hidden in the numbers, to why it has become so uncommon? I plowed through 16 years of stats to find my answers, ranging from 2000 through 2015, covering the 21st century in baseball. A few caveats are necessary before diving into the raw numbers. The play-by-play files provided by Retrosheet are thorough, but not utterly comprehensive. They do not distinguish between straight attempts to steal home, delayed double-steals (runner on first going for second, then the runner on third breaking for home on the throw to second), or squeeze play attempts gone wrong. When I studied Jackie Robinson’s attempts to steal home, I was able to examine all 32 in enough detail using newspaper accounts to identify each type of play. In 2009, when Dan Turkenkopf did his own stealing-home study at The Hardball Times, he was not able to track down to his satisfaction the specifics on all attempts from 2000 to mid-2009, a substantially larger number. The data set I handed myself in this study was a larger number yet, and I decided not to attempt a bigger task than the one that foiled Mr. Turkenkopf. This means, for instance, that determining a success rate for straight steals would be, at best, a fuzzy guess. Turkenkopf came up with 60 percent, 15 for 25, in his study. For my part, I put Jackie Robinson at 19 for 26 lifetime on straight steals of home, a 73.1 percent rate. Those figures pass an eyeball test (to wit, they’re pretty close, and Jackie’s ahead), but with samples too small to really prove anything. There are ways of filtering some types of steal attempts, and I’ll be using some of them, but reaching absolute precision would be much more time-consuming than the admittedly esoteric subject merits. That shouldn’t necessarily stop a baseball analyst of our stripe, but it does give pause to an analyst on a deadline. So enough about what we won’t be doing. Let’s get to what we are doing. I gathered data not just on successful and unsuccessful steals of home, but on two related plays: pickoffs of runners on third base, and balks that brought a runner on third base home. This lets us look at success rates for stealing home through different lenses. What stands out immediately is the very low success rate on steals of home. We’re used to a 70 percent rate or so being break-even for stealing second, so this looks like a total disaster. It isn’t quite that total. In best-case circumstances—two outs, runner on third only—a steal of home has a break-even rate around one-third, plus or minus a few percentage points depending on run environment. Even against that standard, stealers are doing poorly. Add in the very high number of attempts made in other circumstances, with higher break-even rates, and it does edge into disaster territory, if not totally. A sizable amount of the awful rates comes from busted plays, mainly squeezes gone wrong. As mentioned, it’s not possible to deduce these from the Retrosheet PBP data. However, one can use the macro data, plus common sense, to piece together an outline of what is going on. Squeeze plays are almost exclusively a one-out tactic, so attempted steals of home with one out, especially the failures, have a good chance of being squeezes. Two-out steal attempts are obviously not squeeze attempts, and thus are closer to being a sample of straight steals. I found that, with one out, steals of home had a success rate of 79 out of 408, just 19.4 percent. With two outs, the rate was 104 out of 291, or 35.7 percent. The overall rate is dragged far down by the squeeze-heavy part of the sample. How much these failures are compensated for by successful squeezes is beyond the scope of this study, but one supposes it must be significant. The two-out sub-sample, on the other hand, is not far from the break-even rate. Because most of those attempts involve a runner on third, which raises the break-even number by three or four percentage points (double that if he’s not also stealing), success is likelier below true break-even than above it. The pickoffs are also not the disaster they appear to be. Over 40 percent of them, 68 out of 162, resulted in errors that left the runner safe, and all but two times he scored on the error. Taken all together, and including other runners who got to advance on the miscues, the pickoff category ends up only a moderate negative in terms of Expected Runs, and in two of the 16 years a net positive. Balks are a complicating factor. (Don’t we love those?) They obviously work in the offense’s favor, but it’s tough to say how much credit is due to the runner on third. When I tallied up the benefits Jackie Robinson received from balks, I gave him full credit whenever he had the next base open, and none in other cases. This is a defensible choice, but not exactly a sophisticated one. I changed the equation for this study. One-quarter of the credit for a balk goes as a debit to the pitcher: sometimes guys just mess up without being worried about the running game. This gives a runner on third three-quarters of the credit in XX3, X23, and 123 situations: that is, whenever he’s the only one who can steal on his own. When it’s runners at the corners, I cut the third-base runner’s credit down to one-quarter. These are shares of the total credit, for the advances of all runners, not only the man at third. But credit measured how? In my second Robinson article I did it by Win Expectancy, but the greater volume of data this time forced me to simplify that to Run Expectancy. I totaled up the annual RE gains or losses in all four categories: steals, caught stealing, pickoffs and balks. Go straight to the final lines for the total, and average, for all 16 years. Even with a generous share of RE from balks, steal-of-home events end up a net negative for the offensive team. Seven and a third runs a year is not a great amount, but given that there are about 80 steal-of-home related events per season, the rate is close to a loss of a tenth of a run per play. Busted squeezes and other confounding factors notwithstanding, that is a stiff loss to absorb. Seen from that angle, the modern waning of the steal of home is not only understandable, but perhaps hasn’t gone far enough. Straight steals, unencumbered by other tactical shenanigans, may be a different matter, but those plays are so rare nowadays as to be one step from extinction. Speaking of the waning steal of home, recent years have seen a sudden downward shift. From 2013 to 2015, both total attempts and caught stealing have been at levels lower than anything seen in any individual year during the rest of the 2000s. Successful steals have also been low, though not unprecedented: note 2002-04 for comparison, though that was in a higher-offense era, and teams probably should have been stealing home less. Why, in an era of lower offense when one-run tactics ought to be on an uptick, did the steal of home get attempted so much less often? Is it team sabermetricians twigging to the bad percentages and warning their managers off the practice? Probably not: something a team tries maybe three times a year is surely far down on the study list. More likely, it can be traced to a specific rule change, the one that made the fake-to-third/throw-to-first move by a pitcher into a balk. This rule took effect in the 2013 season, and caught stealing home promptly dropped by more than half. (It’s interesting to note that balks not only didn’t rise but fell during this period, though not to an unprecedented degree.) There has been a modest rebound since 2014, but not back to previous levels. There are facts deep within the data to support this postulate. Non-pickoff caught stealings that involved an early throw to third base (as opposed to those happening late in a rundown that begins elsewhere) happened between four and 20 times a year from 2000 to 2012, averaging a little under 11 times a season. In 2013 to 2015, such plays happened twice, once, and zero times, respectively. There seems little doubt that the new balk rule had its effect, not just on the runner at first getting occasionally fooled by this old trick, but on the runner at third too. Today, when a pitcher moves to third, the runner there knows the throw is coming and gets back. Before 2013, he could think it was another bluff to try to nail his teammate at first, and take a step the wrong way as the throw came over. If this rule change was made to open up the stealing game, it both succeeded and failed, as far as home plate is concerned. Caught stealing plunged and the success rate spiked in 2013, not coincidentally the only year of the millennium when steal-of-home events wound up a net positive. The following two years were only slightly negative, both better than the yearly average for the 2000s. However, the stealing success rate has since regressed back to the 21st-century average. Also, while pickoffs fell off over those three years, successful steals of home did also. There has been significantly less activity in this area since the new balk rule was imposed. It made the steal of home a more successful tactic by making it a less common tactic. Before this gets too depressing, I’m going to switch gears. It’s time to look, not at the aggregate, but at the individuals. You have questions; I have answers. Okay, technically I have both the questions and the answers. For the first questions, I offer this table. It will quickly become clear that nobody these days is in the class of Cobb, Reiser or Carew in the big swipe. Steals No. Caught No. Attempts No. One thing to stress is that these are not necessarily career figures for the players. Omar Vizquel played for more than a decade before the odometer turned to 2000, so he probably did more along these lines than a mere three-for-eight. Worthy of mention is that his final steal of home came on June 13, 2008, when he was 41—and it was a straight steal. No squeeze; no teammate drawing a throw behind him. He just caught the pitcher napping. He was still trying at age 43, in 2010, but got nailed in both his attempts. Heck, by that age Ty wasn’t even in baseball any longer. Only three other players in the 2000s have stolen home twice in one season. First was Adam Everett in 2005 for the Astros. In 2008 came Fred Lewis on the Giants, whose two dish steals came in a four-day span in early July. Juan Pierre managed it in 2010 with the White Sox, getting his two plates 10 days apart at the end of the season. Of all four with multiple steals of home in one year, only Pierre had a straight steal among them, on Sept. 22 against Oakland. And this somehow was not exciting enough to merit an MLB video highlight. I can’t figure it out, either. Fred Lewis is tied for the millennium record of most attempted steals of home in one year, with four. He split them, two and two. The other player with four tries in a year during the 2000s was Nori Aoki in 2012, his rookie season with the Brewers. He got caught all four times, and perhaps wisely has not made the attempt since. If there is a candidate for a promising young home stealer who might rival Andrus, it may be the Pirates’ Starling Marte. He has four attempts in the last four seasons. His problem is success rate: he’s been safe only once. If he figures something out, he could provide some real excitement (other than what he does with the rest of his game). Some people, though, probably shouldn’t make the attempt in the first place. This does not stop everyone. You might be shocked to learn that Ryan Howard has attempted to steal home. You will not be shocked to learn that he got caught. This came on June 23, 2010, before he ruptured his Achilles tendon in the 2011 playoffs. It also came as the tail end of a 1-3-6-3-2 rundown. Thus, there were excuses for Howard’s attempt. I’m not sure I can say the same for Prince Fielder. His attempt came on Aug. 16, 2011, playing with Milwaukee. Yuniesky Betancourt apparently missed a squeeze sign, took a big whiffing hack, and hung Prince out to dry. Fielder did what he was told, so the shame isn’t his. It belongs to whoever thought Prince Fielder should be taking any part in a squeeze play, which I guess would be manager Ron Roenicke. Roenicke squirmed out of what should have been a firing offense by winning the NL Central Division. If only Fielder could have wriggled out of his rundown as slickly. If you’d like to ease the heartache of Howard and Fielder, there’s a simple way. Just remind them that they have the same lifetime record for stealing home—oh-for-one—as Billy Hamilton. Yes, the fastest man in baseball ran himself into a 2-5-2-6 pickle in a May 2014 game in Washington. Maybe he’s right that Stephen Strasburg balked, but not only is it still a caught stealing, but he’s arguably more to blame for his than Howard or (definitely) Fielder was. As for the pitchers who yielded the most steals of home in the 2000s, there are four sharing the dishonors, with three apiece. Erik Bedard is one: weirdly, two of those steals came on strikeout pitches. Another is Derek Lowe: like Bedard, just one of his three was a straight steal of the plate. Ted Lilly gave up two straight swipes out of his three. The true un-champion, the lone pitcher to give up three straight steals of home this century—as Turkenkopf found back in 2009, and which still holds today—was Andy Pettitte. The irony is that Pettitte was known for his outstanding pickoff move. That, of course, was to first base. This raises a salient point. It’s a rule of thumb in baseball that left-handed pitchers are tougher against most steals, meaning steals of second, than righties. However, the advantage of their orientation on the rubber gets reversed when holding a runner on third base, becoming instead a disadvantage. This holds up at the extremes: of the four pitchers just mentioned, all but Lowe are southpaws. How much does pitcher handedness affect steals of home in general? Do runners try more against lefties? Do they succeed more often, and get picked off less often? Of course, there isn’t a perfect division between stealing home and stealing second. 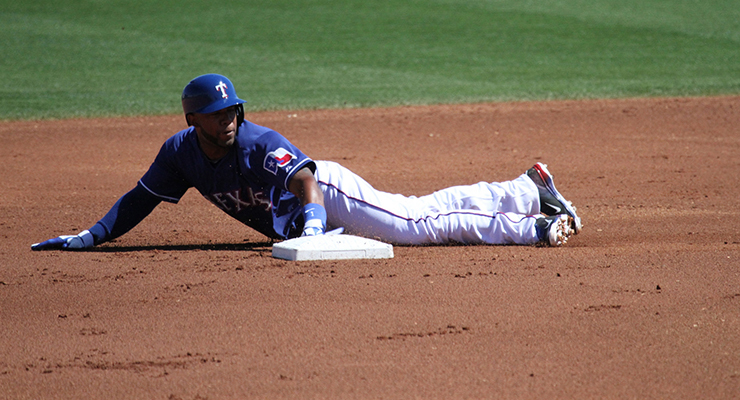 Many steals of home take place with a runner also at first, and many are due to a two-stage double-steal. It takes a little attention to keep matters straight. So when the data say that successful steals of home happen 27.89 percent of the time against lefties, while batters from 2000 onward have faced southpaws 27.00 percent of the time, it looks like there’s not much difference. That look is deceptive. Of the 190 steals of home in our timeframe, 59 have been the runner on third going by himself, plus one double-steal of third and home and one triple-steal. There was no question of holding a runner on first in those cases. Out of those 61 steals, 27 came against left-handers, or 44.26 percent. The other 129 cases, where both second and home were stolen, happened against lefties just 26 of 129 times, or 20.16 percent. So straight (or close to straight) steals of home do victimize lefty pitchers more, while steals from first and third come disproportionately against right-handers. Straight pickoffs show a similar tilt. Out of 162 pickoffs at third, 39 were by left-handers. The 24.07 percent rate is lower than the rate of batters faced by lefties, though not by a huge amount. The caught stealing numbers are less conclusive still: 30.75 percent of caught stealings were by lefties, above their average rate of appearance rather than below as we’d expect. I thought this could be due to their taking advantage of first-and-third steal attempts to leverage their strengths going to first. Running the numbers, though, I found that the rate of lefties facing runners at the corners in these situations was not quite two percentage points above that for righties, 63.8 to 61.9, not remotely a decisive margin. It is success rates that really go against the received wisdom. All told, lefty pitchers give up a 24.5 percent success rate on steals of home, while righties concede a 27.2 percent rate. We’ve seen that successful straight steals of home come disproportionately against southpaws, but now we see that for all home steals, lefties are the tougher pitchers. This doesn’t seem to add up. Two things could reconcile these clashing facts. First, the many straight successes against lefties could be accompanied by a similarly high number of straight failures (something that can’t be checked directly from the Retrosheet data). Second, right-handers may be getting victimized by second-and-home steals that lefties can control better. If you want to try to steal home, it is advisable to already be at home. Your home park, that is. Attempts by the home team had a 99 for 345 success rate, coming to 28.7 percent. Visiting teams managed just 91 out of 375, for a 24.3 percent success rate. Throw in pickoffs and the gap narrows, slightly. There were 88 pickoffs at third of home team runners, compared to 74 of visiting runners. Of the 68 pickoff errors, 35 benefitted the home team (and the two where the runner at third failed to score happened to visiting clubs). If we lump pickoffs in with caught stealing and pickoff errors with steals (not really kosher, but I’m not trying to be exact here), we end up with a 30.9 percent success rate for the home team, and 27.3 percent for the visitors. The sample size, at 882 total events, isn’t quite big enough for us to call this conclusive, but it’s enough for one to lean toward being more daring at home. Something odd happened with those same pickoff errors a few years back. From 2000 to 2016, the highest number of errors on PO3 plays in a season was five—except for the years 2011 to 2013. Those years, the numbers were six, nine and six. A one-year spike is often random. One that lasts for three years is often something else. What it can be, though, I do not know. Was this somehow related to the third/first balk rule that entered the rulebook in 2013? And if so, why did the spike not fade out the first year that the new rule was enforced? Something was going on here. Whether it was something interesting or meaningful, I wish I knew. I did not get results that fans of the steal of home would wish to see, but they are the results we have. Home thefts, even separated from busted squeezes and given credit for drawing balks, aren’t successful enough to justify being more common, and perhaps should be happening less than the slight amount they do now. Various things have been fading out of the game of baseball, to greater or lesser levels of regret. The steal of home has joined things like the complete game, effective pitcher batting, and the full-blown manager/umpire rhubarb. (It’s perhaps appropriate that Billy Martin provided both a lot of steals of home and plenty of vein-bulging arguments in his day.) Trying to legislate the steal of home back into the game might not even work; the balk rule change that seemingly encouraged it a bit instead saw it become less common. If there is no way to reverse the trend against it, there’s just one thing for its fans to do. We have to cheer all the harder for those daring runners who buck both the odds and the tide of baseball history. We have to enjoy it whenever we can, for as long as we can. During a replay of the first official home night game in Wrigley yesterday, Vin Scully and Joe Garagiola mentioned Rick Sutcliffe being the last pitcher to steal home; first since Hippo Vaughn during the dead ball era. Jackie Robinson was OUT in the most infamous play at the plate on an attempted steal because Yogi said he was out, and Yogi oughta know! Next, tackle what percentage of HBP has caused an injury forcing the batter to miss time. Erroneous link fixed. Thank you for the catch. According to “The SABR Baseball List & Record Book” between Hippo Vaughn and Rick Sutcliffe there have been 14 steals of home by pitchers. I’d be interested if catchers have anything to do with it. You mentioned Ted Lilly and Andy Pettitte, who were teammates on the Yankees. I wonder if Jorge Posada’s reputation as a mediocre to poor defender could have contributed to teams being a little more willing to roll the dice against him. As you mention, you don’t have a huge database of events so there may not be enough data to draw conclusions, but it was something that came to mind. Jacoby Ellsbury managed a straight steal of home as a member of the Red Sox while playing against the Yankees in ’09. It was off Pettitte. Seven years later, Ellsbury managed a straight steal of home as a member of the Yankees, this time playing against the Rays. This one was off Matt Moore. It was the first straight steal of home by a Yankee in 15 years. The break-even certainly changes with who’s at the plate, no? If Brendan Ryan’s batting with two outs, you might as well roll the dice on the steal. I was lucky to watch Trea Turner manage a delayed steal of home a couple of days ago when a runner on first drew a throw. Hopefully he’ll make a habit of it! Does the new rule in which batters can’t block the plate apply to those attempting to steal home, and if so, what effect do you think this rule change will have on the value of attempting to steal home? Should help it, right?